SAN FRANCISCO : California hopes the legislation enacting state-wide ban on single-use plastic bag to go through this time. The modified legislation was introduced by state Senator Alex Padilla further to consultations with industry participants. The bill now requires the legislature approval and final signature by Governer Jerry Brown. 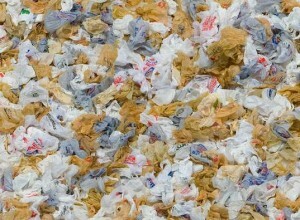 Environmentalists have been vociferously demanding a ban on plastic-bag claiming that plastib-bag usage would create mountains of trash that are difficult to recycle. Many cities in California and other states have already banned plastic bag usage at grocery store. The bill for statewide ban fell just three votes short of passage last year, due to opposition by certain bag manufacturers. Further to negotiations with lawmakers, the state has proposed to create $2 million fund to provide grants from the state recycling funds. The grants will be provided to manufacturers who can utilize them to produce paper-bags or reusable plastic bags as per state rules. As per terms of the proposed bill, Californians will have to pay at least 10 cents for each reusable plastic bag or recycled paper-bag effective July 1, 2015. Meantime, single-use plastic bags will be completely prohibited.